The picture is adorably perfect, making us fall in love with them once again. 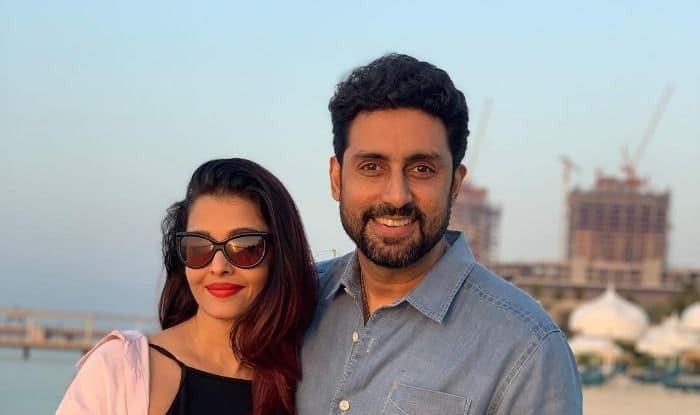 Beach seems to be an ultimate New Year destination for Bollywood stars and taking the cue, actor Abhishek Bachchan too was seen celebrating the start of the year with actress-wife Aishwarya Rai Bachchan and daughter Aaradhya at an unknown beach from where he uploaded a picture to wish fans. The picture is adorably perfect, making us fall in love with them once again. On the professional front, Aishwarya was last seen in the film Fanney Khan which could not perform well at the Box Office but the stellar cast including Rajkumar Rao, Anil Kapoor and Divya Dutt were lauded for their individual performances. As for Abhishek, the actor made quite some noise with his performance in the movie Manmarziyaan and now the husband-wife duo will be seen together after a long time for Anurag Kashyap’s production Gulab Jamun. Aishwarya had mentioned about her next film with Abhishek during Fanney Khan’s promotions revealing for the first time that they will be seen together again. She had said, “AB (Abhishek Bachchan) and I have agreed to do Gulab Jamun. I told AB that he needs to decide what he wants to do after Manmarziyaan.” The couple was last seen together in Mani Ratnam’s Raavan. Gulab Jamun is expected to go on floors in January 2019.